If you have Android smartphones, you must have experienced that now, it does not work as faster as it used to be when it was new. And it’s just not with you only. Most of the Android smartphone users do face the same issue. Their smartphones become slower over the time. So what makes a smart phone turn slower? Is it natural or it’s the way be use it. Let us understand about it. The only reason causing Android smartphones slower is no or poor maintenance of these devices. Because these are easy-device, it doesn’t mean they don’t need maintenance. In fact, they also need maintenance like PCs. The maintenance requirement arises because of the increasing number of apps, processes and files stored on the device. This post is going to share some useful tips that may help you speed up your phone. Let’s begin. Almost all Android devices come with preinstalled bundled-apps. Some of them are there for enhancing the performance of the devices. These apps are generally storage, memory and battery managers which the device vendors have already tested to speed up the devices. The apps themselves are created in way so that they keep providing notifications to take action time after time. These managers let you see which apps are clogging up your device or there are problems caused by certain resources like CPU, RAM, etc. 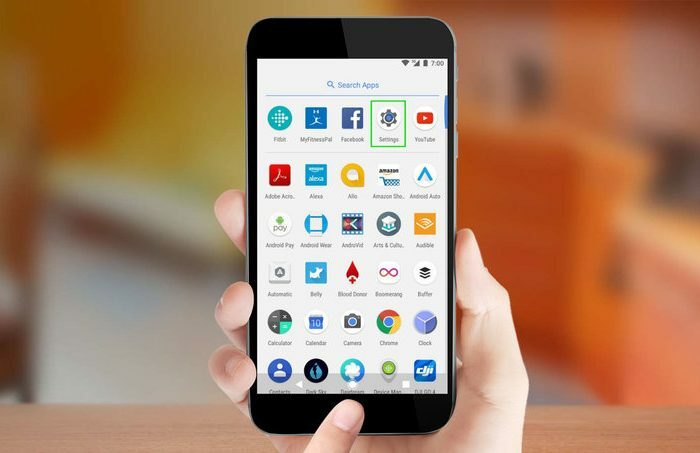 In most cases, these apps come preset to run automatically and clean program restoring the speed and performance of a device to the more functional state. Many users care little about the storage of their smartphones. Some of them even fill it to full with photographs, large files like movies, games, etc and leave no space. But the storage in your phone isn’t only about files and apps. It also has the OS which requires free space to functions speedily. To run your device smoothly, make it a habit to regularly clean out apps’ caches, browsing history, files and videos received through messaging apps. If the device has microSD card slot too, you can use this memory to set your apps automatically saving files in that storage only. By doing this you will free up your device’s internal storage which will further speed up it. The best way to do this is that you use preinstalled storage manager app that comes with most of the devices. You can also use third party storage manager apps available on the Google Play store. Apps running in background do also affect the performance of devices. To check which app is consuming resource in background, access the Android Developer Option in Settings. If it’s not responding on tapping, it means it’s not activated. Activate it by tapping on the build number seven times repeatedly. The build number is available in About > Software Information and then there is Build Number. Once you do this, the Developer Option will be enabled. Now tap on the Developer Option and locate “Running services” option. Tap on it and, you will be able to see processes using memory power. After following these steps, you should see a Developer Options button in the Settings app. Remember that there are certain services which will keep running even after stopping their process again and again. In fact these services are vital for the general functioning of a device so do not force them to stop. One of these services include Google Play service app. In the Developer Option are some additional ways to improve the performance of a device. One of them is disabling animation, and limiting background apps. These animations are played when you switch between apps screens and menus. It of course makes the experience of using a device feeling smoother but in the mean time, it also consumes processing power. To disable these animations, locate “Drawing” in the Development Option menu where it’s controlled by Windows and Transition animation scales’ settings. When turned off, the settings will remove all animations. As we know, Widgets are the most attractive feature of every Android smartphone. But they are also the key culprit to slow down the devices and the performer drainer. So if you do not need the widgets in your device, simply remove them. Don’t worry they will not permanently be removed and, you can easily add them back again whenever you need. Consider applying these tips and, you will see how they speed up your device.